It has been 2 days now since our first meeting/session with Andrew, and I already feel like we have two totally different dogs on our hands! We have two high energy boxers, Sirius & Ginny, when I first contacted Andrew I spoke to him about the issues we were having. #1) Going insane barking at the door when guests came over, and then once we let them in, jumping up and being crazy out of sheer excitement. and problem #2) leash reactivity in both dogs, Ginny especially liked to bark and pull towards other dogs when we encountered them... and Sirius had an issue with pulling and barking more at people. It got to the point where we had stopped taking them on walks because we just couldn't trust the reaction they would have. THAT was 2 days ago... after meeting and speaking with Andrew, he gave us so much to think about, and so many seemingly simple solutions to our 2 biggest issues! Now, not only can I walk my dogs again, I've been able to walk both (almost 70lbs a piece) at the same time! They are walking at our sides, listening to our corrections... the entire experience has just completely changed! 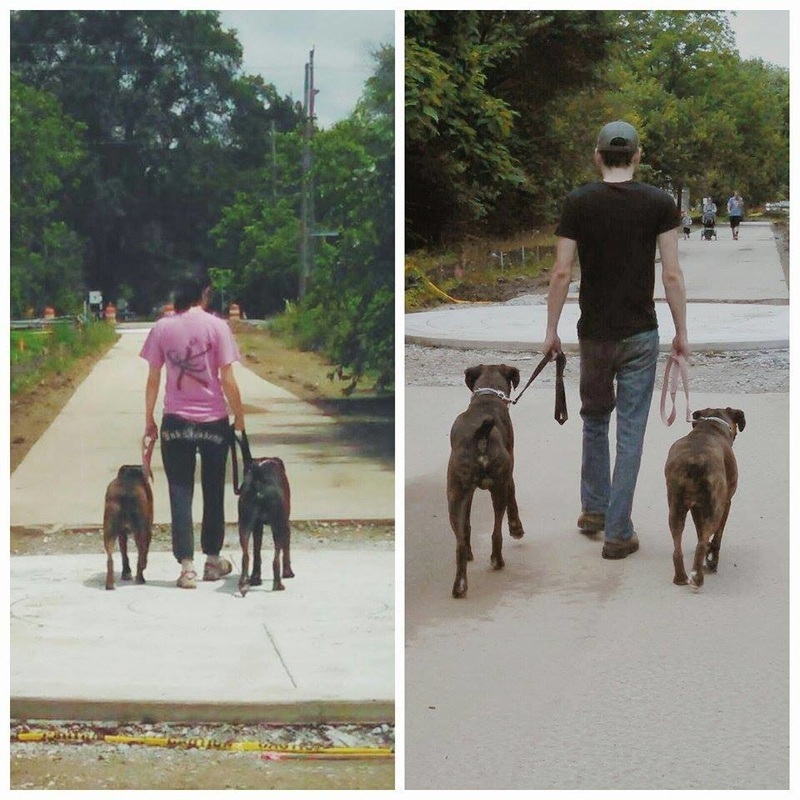 Even when we encounter other dogs or people, we've been able to walk by without incident. And inside the house, it's a total change too... our once unruly dogs are learning some new boundaries, and adjusting to them quickly! I can't believe how great our experience with Andrew has been after just one meeting! It's still a learning experience for us and our dogs and we are practicing daily, but I would recommend Andrew to anyone looking for some guidance with their dog.